I’m not in the habit of using this blog to plug myself, at least not in an obvious way. I’m also not in the habit of using exclamation points in my post titles. But today I am making exceptions. Next week, there will be an exhibition of my photos in Melville. I’ve had my photos in a couple of exhibitions before. But this one is special because it’s all my work, I chose the subject myself, and it’s happening in my own ‘hood at the IT Corner, one of my favorite Melville hangouts. I won’t go into detail about what the exhibition is about just yet. 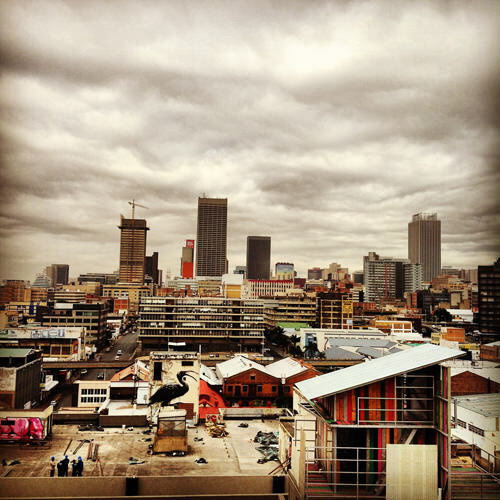 But all the photos were taken over the last month in one of the most interesting parts of Jozi (at least in my opinion) — Jeppestown and the Maboneng Precinct. I took the pictures with both my DSLR and my iPad. 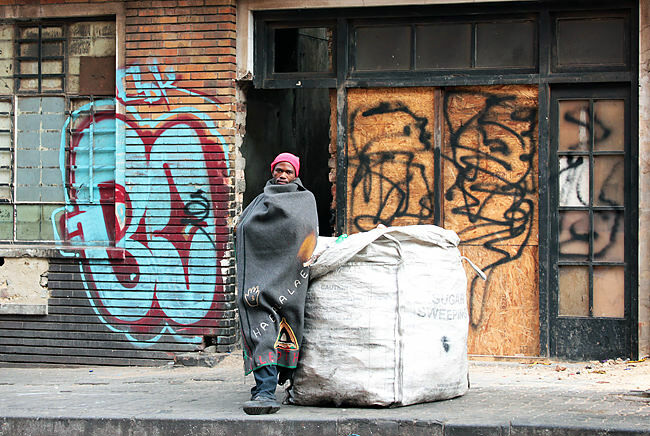 Shooting this exhibition was really rewarding because I got to do what I love best: walk the streets of Joburg, meet interesting people, and take pictures. I learned so much about this city — and myself — as I worked, and my passion for street photography has increased exponentially. I’m really grateful to have been given this opportunity. The exhibition is on Thursday, 29 November, at 6:30 p.m. Here are the details for the locals among you: http://www.facebook.com/events/508166799201917/. If you’d like to come, please RSVP on Facebook or send me a message through the blog. There is an admission fee of R100 for the exhibition. Please note that this money covers the costs of hiring the venue and the food and drinks served at the event. I’m told that the food will be delicious. Oh, and there is going to be a Q&A! So if you’re curious to find out what goes through the mind of an American suburbanite living a quirky expat life in Johannesburg, here’s your chance. For those of you living in other parts of the world who can’t make it, have no fear. I’ll take pictures. Thanks to photographer Christi Sa and Kader of the IT Corner for making this happen. You guys rock. Why is everything you do seemingly on a Thursday night? That’s my Boys Nite at the Xai! Nevertheless I shall try to convince them to swing past and pay the R100… if they don’t I’ll do anyway. Whoohoo!!! Great exciting news!!! Wish I could be there, but am sure it will be fantastic! Wish I could see the exhibit. I’ve been watching your photography from afar for some time now. You are truly a great photographer with a wonderful eye. Congratulations, Heather! Awe, thanks Dave. That means so much to me. I hope you’re doing well. I miss you! Congrats! Can you Skype it so your fan base across the ocean can see? Well, the exhibition is taking place at an internet cafe! So I’ll see what I can do. I wish I lived closer. I agree with Nicole, you should promote yourself more! Can’t wait to see more. Congratulations! Hi Heather. Sorry I am going to miss it……..Next time. No problem! Thanks for the comment. congratulations for a well deserved recognition, and I too, wish I could come by…enjoy your night, Heather! Thanks Eliz! And thanks again for checking out my blog. Too bad you’re not here to check out the exhibition. V. exciting! Can you please arrange another show for February/March so I can see it? Just kidding. Well done, well deserved. Say hi to the IT Corner guys from me.